Soolman stepped down as manager and occasional player of Towne Club at the end of the 2015 season, his 46th in amateur men’s baseball; and Nelson is still getting his swings in men’s senior baseball into his seventies. That “someone else” Soolman is becoming is a writer. Already with several stage plays under his belt he completed his first novel, Learn to Duck, Newark Phelps, about a rookie private investigator who gets in over his head; and a sequel, Welcome Home, Newark Phelps, which will hit the sidewalk shortly. A couple of games into the season Hyde Park Sports, with no manager and a bare roster, was in danger of folding. Soolman, along with his old Lechmere teammate Nelson, stepped in to save the franchise. In a season that looked headed to oblivion they built a team from scratch in a hurry, won 11 games and finished seventh in a nine-team league. Soolman began to play regularly once again and batted .304. But, early next season came what Soolman calls “the most ungrateful display I have ever seen.” A year after saving the franchise from extinction and beginning to put together a talented ball club that would include future Park League Hall of Famers Lloyd and Larry Hill, Harry Raphael and George Katz, Soolman was relieved of his manager duties at Hyde Park Sports – in the middle of a game! Moving onward, within a few days Soolman was named manager of a struggling Socieded Latina team that was winless in the Park League basement. They promptly won two games with Soolman delivering the game-winning hit both times, but after two weeks the sponsor was unhappy that Soolman had moved his struggling prized shortstop, who had been brought from the islands, to center field. Thus, in a chain of events unsurpassed even by the oft-fired Billy Martin, Soolman was blindsided and canned from his second managerial position in two weeks. “He thought I’d stay on and help my replacement. No way, see ya.” Sociedad Latina would only win one more game the rest of the season and finish 3-29. Even Towne Club was in a similar situation. Following Jeff Toussaint’s retirement Soolman was asked if he would run the club in 2004 and passed. That team won just 11 games. But, the next year he was asked again and accepted. He put together a team that won 16 games and missed the playoffs by one point. 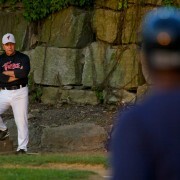 Over 11 seasons Soolman’s regular season Towne Club managerial record was 191-177. Soolman is amused that Towne Club, in their first season without him at the helm, won their first league championship in 25 years. “I’m very proud of that,” he says. “I’m very proud of the guys who made it happen – some of whom have been dedicated to this team for years: Mike Stefaniak since 2006, Dana Dresser since 2008, Steve Picco in 2008. 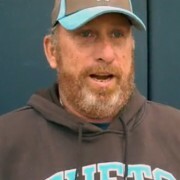 Steve suffered a serious knee injury and gave up baseball only to come back and then give it up again to play softball. But, he knew he was meant to play baseball and came back to the guys and had a great year. Stuff like that makes me very happy for the team’s success this year. People I brought to the team like Grant Bowen (who co-managed this year with Stefaniak), Chris Hoyt, Alex Venditti and pitchers like Connor Farrell, Conner Rooney and James Bussiere that I gave a chance to throw all came up big this year. And they brought in some final pieces to put it over the top. “I said to them mid-season, ‘Man, you guys are going to win it all without me.’ And Dana spoke up in front of the team and said, ‘Harv, we’ll never be without you.’ That was a great moment for me. Then, they made me feel part of the whole championship. But, this is their title. They got the job done, and they won the championship. His actual final Park League appearance didn’t go quite so painless. Being drubbed, 9-1, by Palmer in Game 2 of a three game semi-final sweep, Soolman got vocal following a sixth-inning controversy, and when he pinch hit to lead off the seventh he was drilled in the shin on the very first pitch. “Of course, it was intentional,” he chuckled. “It was Palmer. But, I think [Palmer’s Matt] Lipsett had a postgame beer ready for me.” No pinch runner this time on base. Surprisingly to many, his first year without baseball since he was five years old wasn’t difficult for Soolman. He didn’t swing a bat or throw a baseball even once all through the spring and summer. He umpired about 80 high school, youth and adult games, something he had done for several seasons already. It wasn’t until October that he tossed a baseball around with a young woman friend. “That first time each year is always something special,” he said, “no matter when it is. Harvey Soolman was inducted into the Boston Park League Hall of Fame in 2015.